Since I talked about adventuring with paint last week, I thought I'd show you a fun (easy) project to use up leftover (acrylic) paint. 1. 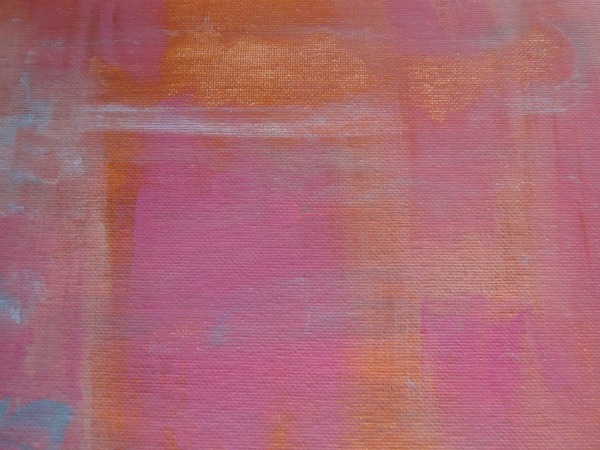 Paint the background, keeping similar colors spaced out around the canvas board. 2. 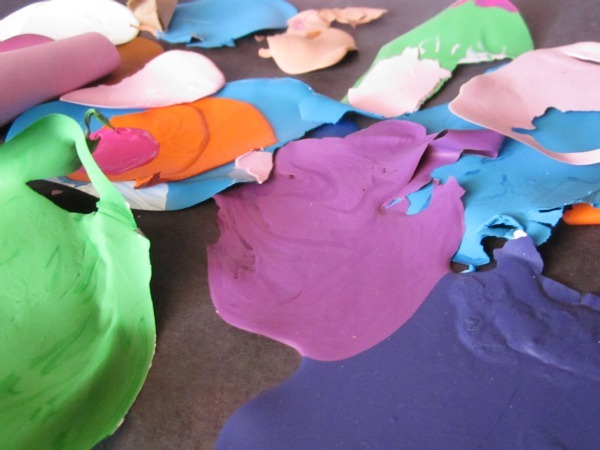 Let the rest of the paint dry into chips and peel them off. 3. Trim the paint chips into pedals and leaves. 4. Arrange them how you want on the board. 6. 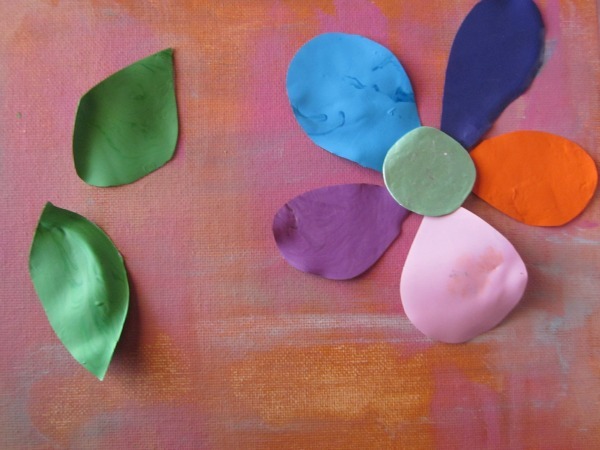 Finish it off by painting a stem and embellishments. This could make a sweet Mother's Day present. Did you have any adventures in painting this week? What fun, and a great way to use up the leftover paint. very nice tutorial...love ur art! What a great idea! I love this, it is so creative and a wonderful way to use all that dried up paint! Love all the color and texture! HPPF! Amazing way to use leftover paint, thanks. 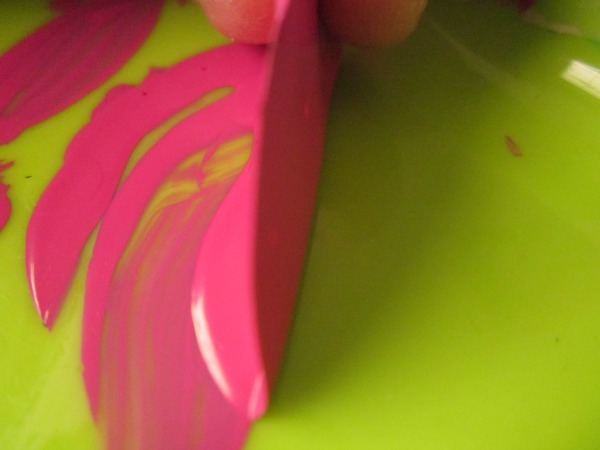 I really love the photos of the process...yummy colors flowing together! happy PPF! What a creative project with left over paint, Catherine! Great work, I love the process! Such bright paint colors! Thanks for sharing your work :) Hugs and Happy Paint Party Friday! No waste and great recycling project! Daisies are such a happy flower and will fit in beautifully anywhere you place them. Thanks for sharing this lovely project with us. Beautiful! I really love this idea, Catherine! Very interesting project!! I see so many possibilities with these chips! Nice colors! How cool! What a great way to reuse. 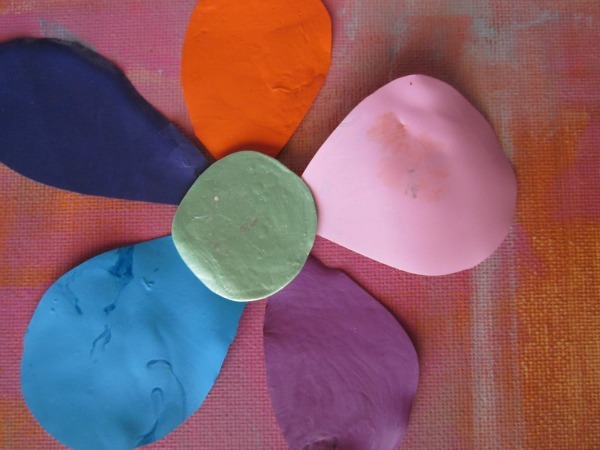 what a fun way to use up leftover paint!